Elise Primavera currently lives in New Jersey – and in the Northeast, she has remained a key fixture in writing and illustrating children’s books. Twenty-five years and many awards is certainly nothing to sneeze at – but this month my prime concern is with the book she published herself six years ago, as it has a place of honor on my bookshelf. This is one of my favorite books to reread! The way it puts a new spin on L. Frank Baum’s land of Oz is both refreshing and – dare I say it – just cool. Move over, Wicked … the Gumm Street Girls are here! 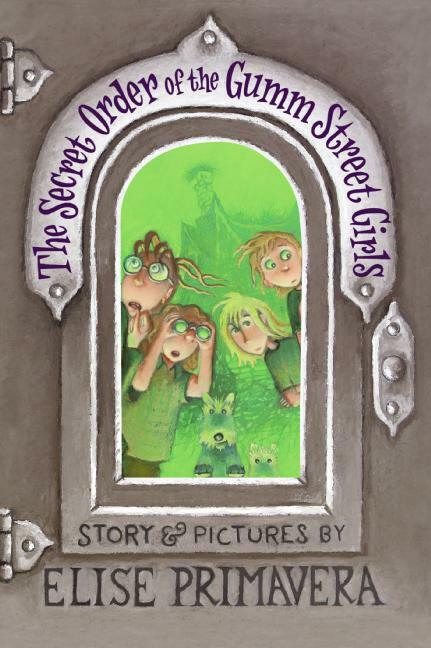 The Secret Order of the Gumm Street Girls is not just another book about kids doing magic. It is, above all, a book about friendship as well as being okay with who you are. Self-confidence is something that many books address, of course, but this one does it in just the right way: you laugh, and then you realize that you learned something. The plot only thickens after that – and with such a good long book as this one, you’ll be turning every last page until there are none left, and will still expect more afterward! The connections to Oz will startle and amuse you – and if not, I’m sure that those who value friendship will be willing to stick around and see if the four girls can create one during their trials.